*Please be aware of freezing temperatures in your area as we recommend holding off purchasing until it warms up to avoid issues. 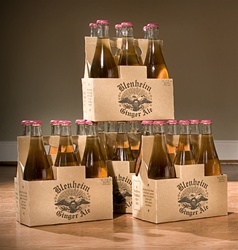 Blenheim Ginger Ale HOT is for ginger ale lovers who really love the taste of ginger! This spicy "hot" ginger ale really lets loose with a powerful brew of ginger.